In Israel, as in most countries, our woodlands and forests are mostly planted on state-owned lands, even those widely known as “JNF forests.” Managing these forests for the benefit of the public is clearly the duty of the state, and every modern democracy has created a national forestry service – a governmental agency – to ensure that this precious natural resource is managed in accordance with public and governmental norms. Thus far, however, the State of Israel has not established a national forestry service of its own. Due to historical circumstances, and for reasons of political and budgetary expediency, Israel outsourced the oversight and management of its forests and woodlands to Keren Kayemet L'Israel – Jewish National Fund (KKL-JNF), an opaque private organization. 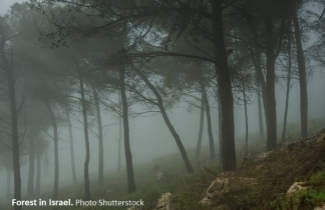 Just in time for Tu B'shvat, the Jewish tradition’s “New Year for the trees,” the anachronistic relationship between the State and KKL-JNF has been put on the table for rethinking and reforming. In our role as public watchdog for Israel's environment and biodiversity, the Society for the Protection of Nature in Israel (SPNI) is calling for the termination of the government's privatization of forests, instead demanding the establishment of a true National Forestry Service for Israel. KKL-JNF is a private organization that was founded in the pre-State era with the express purpose of purchasing land in Palestine for the Zionist movement. Since the creation of the State, KKL-JNF's role has been considerably less clear. KKL-JNF owns approximately 13% of Israel’s land, much of it around Israel's urban centers. And most of KKL-JNF's budget is used not for conservation, but for land development – paving roads, establishing settlements, developing agriculture and more. At the same time, KKL-JNF has planted trees on some of its land and manages them as the de facto forestry service of Israel, and for good reason. In a 1961 charter, the government made KKL-JNF, a private organization, the country’s official “forestry service” and afforded it ultimate power, as it is not subject to oversight or control by the government or the public. Currently, KKL-JNF, and no other public body or arm of the government, is charged with determining policies and budgets in the management of our forests. In reevaluating the KKL-JNF charter with the government, SPNI is voicing its prime and most relevant criticisms of the organization: specifically on the untenable and anti-democratic outsourcing of state authority to KKL-JNF, as well as its negative impact on Israel's environment and unique nature. It's bad enough to outsource forestry to a non-governmental agency, but it’s that much worse to establish a partnership with one that also engages, tirelessly and with deep pockets, in real estate and land development in every conventional sense, creating a built-in conflict of interest for a private organization, with little transparency, subject to no normative governmental or public oversight. From this stems SPNI's most salient critique of KKL-JNF, namely that while common wisdom sees planting trees and establishing forests as pro-environmental activities that enhance and safeguard nature and biodiversity, KKL-JNF’s tree planting campaigns are often development activities that greatly harm the native and natural flora, fauna, and ecosystems. It has always been part of the Zionist ethos, practically a Zionist commandment, to plant trees in Israel. Often, when I speak about Israel’s environment to groups abroad, someone will proudly relate that Israel is the only country in the world that ended the 20th century with more trees than when it began. It's certainly a nice anecdote for Tu B'shvat, but it’s a statistic that says nothing about the actual health of our environment. In many places – especially Israel's natural open spaces – the planting of trees itself damages our unique ecosystems and endangered species. This Tu B'shvat, don't just plant a tree. 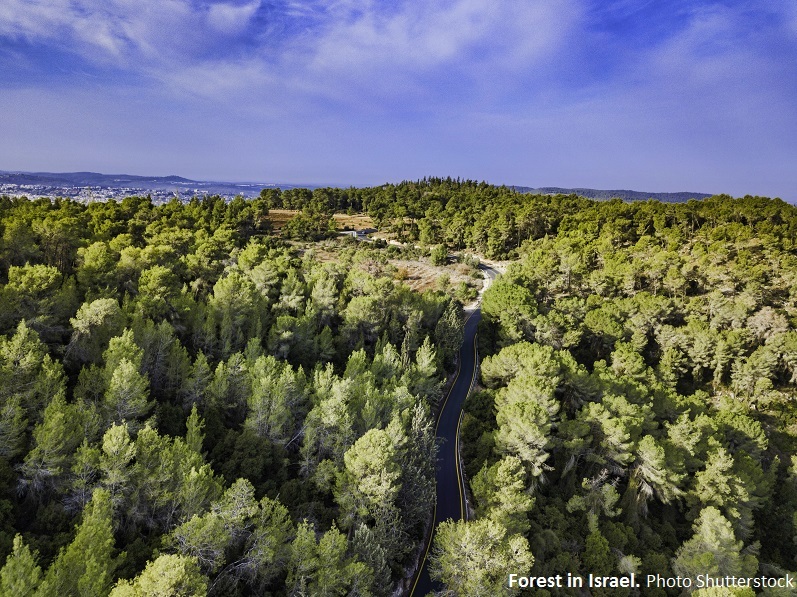 Think bigger, and help us promote smart planting and the establishment of an Israel National Forestry Service – for the benefit of the public and for the sake of Israel's nature.